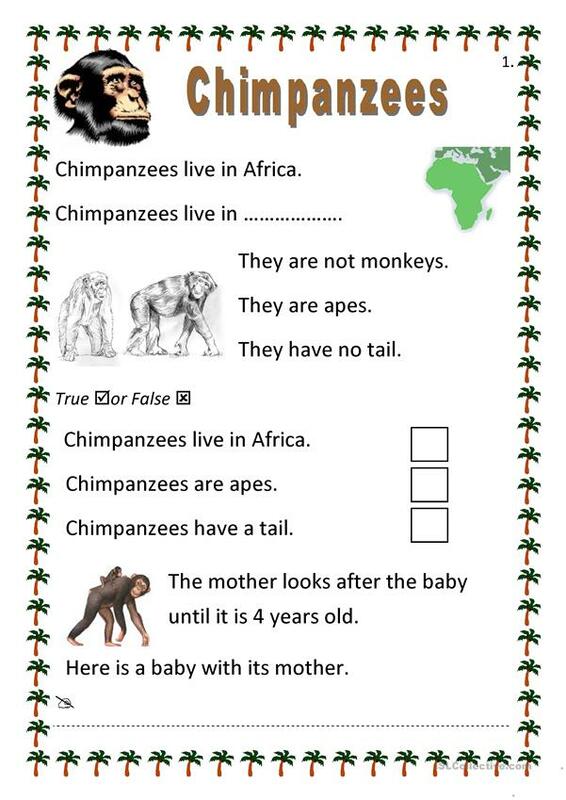 Informative worksheet about chimpanzees. In 4 parts. This downloadable worksheet was created for elementary school students at Elementary (A1) level. It is useful for honing your learners' Reading and Writing skills.